There is a great scene in the film Alice in Wonderland where Alice and Chesire the Cat meet at a fork in the road. Alice says to the Cat, "Would you tell me, please, which way I ought to go from here?" "Then it doesn't matter which way you go," purred the Cat. "So long as I get somewhere," Alice replied. "Oh, you're sure to do that, " said the Cat, "if you only walk long enough." The point here is that we need to know where you want to go. Knowing the exact route or end destination isn't necessary, however, a general direction must be aligned. Like Alice, if you're simply wondering without any direction, you'll get somewhere for sure. But, you'll arrive at a place and say to yourself, "This isn't what I truly wanted." When it comes to building big, beautiful back, having direction is crucial. To have your erectors crawl up to your neck, your lats wider than a barn door and an upper back that can't be ignored when you walk away simply doesn't happen by chance. Instead, it's a journey grounded in direction. Purpose. Intention. 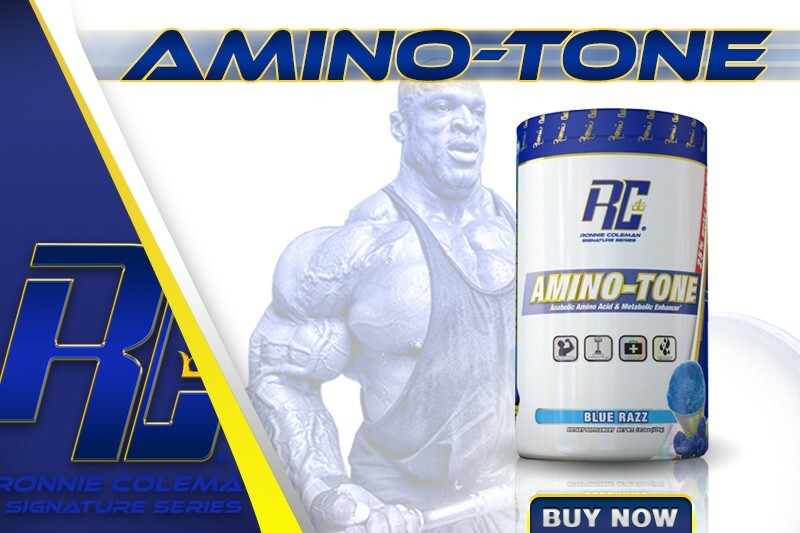 Ronnie Coleman Amino Tone is an anabolic amino acid and metabolic enhancer that provides your body with muscle saving energy. Order now. A person with a well-developed back has often spent years to achieve their comic book proportions. They put the time in. The discipline has caught up with their bodies. The entire back is a blue-collar muscle group. Training is brutal and painfully basic - a combination that the modern day gym-goer refuses to engage with. In the strength sports, bodybuilders, powerlifters, and strongmen all have big backs. For bodybuilders, size is the aim. Some of the legends in bodybuilding like Ronnie Coleman also had the best backs of all time. For powerlifters and strongmen, a strong, powerful back is the cornerstone of their sport. Without a back that could support the loads the pull, carry or push, they wouldn't stand a chance in the sport. Even if competitive strength sport is not on your radar, a big, beautiful back is still worth pursuing. Aesthetically, it can lift you from a forgettable physique to one that people take a second look at. Functionally, a strong, powerful back is the hallmark of a physique that can show and go. You can't possess a back that makes a drug-store white T-shirt look awesome and not pull heavy bars off the floor or squat weights that want to staple you to the ground. So regardless of the reason, a well-developed back is a worth it for everybody. But, the desire to build your back cannot mimic the journey of Alice. You can't wish to build a better back and not have a piercing direction to achieve it. That's where this article steps in. You're going to walk away with the blueprint, the road-map, the guide -whatever you want to call it - on how to build your back. Mr. Olympia Ronnie Coleman - The Unbelievable! You will read through this list and say, "I know this already." But remember this: It doesn't matter what you know. What matters is what you do. This piece might be a reminder to kick yourself into gear. Or, you'll pass it up and shuffle it off as something you've already seen - only to come back to it later when you're ready to do some work. Either way, this stuff works. The variable is in your ability to execute. In order to build the back, it's important to understand how your back is designed. This influences your exercise selection and order in your workouts. Let's break the back down into three basic regions: lower back, the lats, and upper back. When we talk about the lower back, the primary muscle group we're referring to are the lumbar spinal erectors, a set of three parallel muscles that run up the entire spine: iliocostalis, longissimus, and spinalis. These muscles start at the sacrum and end at the base of the neck. Thier function help sustain structural integrity in loaded movements like the deadlift and squat. Aesthetically, the lower back has more to do with overall body fat percentage and thickness of the lower lats. Functionally, building a strong lower back equates to bigger lifts in deadlift and squat. That in it of itself is a bonus. But, when you improve your squat and deadlift, your ability to produce force also goes up. Assuming the fact that you don't put on tons of weight achieving this, you'll also be able to run faster and jump higher since these two mediums are correlated with how strong you are in the squat and deadlift. 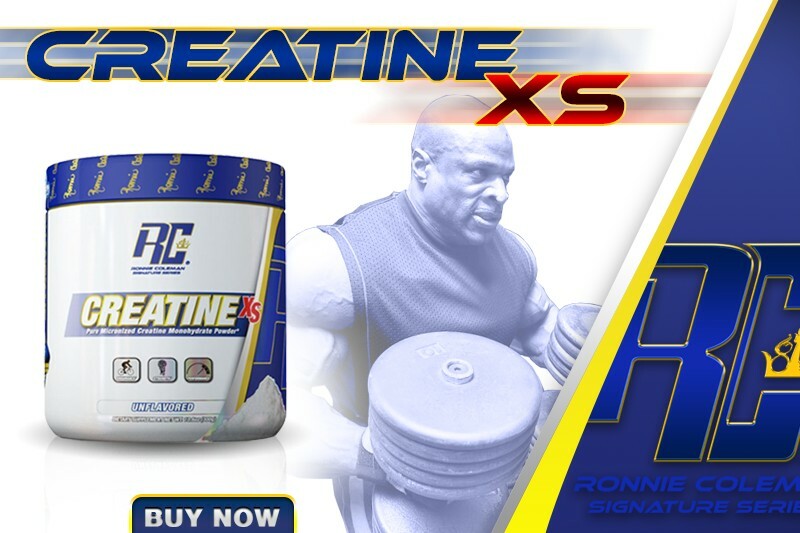 Creatine XS provides 60 servings of micronized creatine monohydrate which is proven to assist exercise performance. Click here to buy now. The upper back consists of the upper, middle and lower traps as well as the rhomboids. One muscle group that doesn't get involved in back development are the rear delts. A crucial ingredient to a physique whether you're witnessing it front the front or the back. Aesthetically, a thick upper back is what gets noticed - whether your shirt is on or off. It gives you that mountain-of-muscle type of look. Functionally, a well-built upper back means you can probably shoulder a lot more in the squat (say goodbye to the squat pad). In the bench press, you'll have better leverage since you'll be lying on a bed of muscle instead of skin and bone. With high-rep deadlift work or doing doubles and triples with the Olympic lifts, a strong upper back is your comrade. The collapsing of your upper back during these lifts disrupt the execution for the rest of the lift. The lats are the most popular when it comes to training the back for good reason. The lats make you look wider and it presents an illusion that your waist is smaller than it actually is. One man known for incredible lat development was Steve Reeves - he also happened to have a timeless physique that has stood the test of time until today. The general function of the lats is to adduct or adduct the humerus - or move the upper arm closer or further away from the body. Aesthetically, having well-developed lats craft the V-taper to your physique. Front the front or the back, the lats cannot be ignored. Functionally, strong lats are big players in pulling bars off the floor and lowering a heavy barbell to the chest in the bench press. 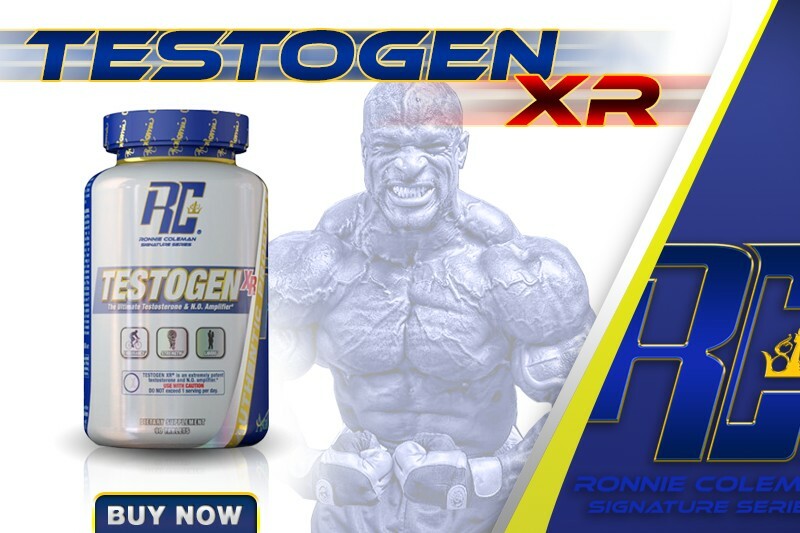 Testogen-XR is the World's first concentrated testosterone and nitric oxide booster - in a powder. Order now. 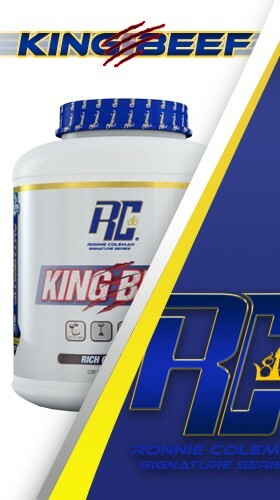 You and I both know that at the beginning of any workout, energy levels are higher compared to the end of the workout. There isn't much you can do about this - especially if you're busting your tail during that workout. You can, however, position the order of your exercises so that the decline of your energy levels aren't as steep and the effectiveness of each movement is maximized. Here's a template to keep in mind when you're hitting your back. Since rowing movements improve width and thickness, it's smart to start with them. Plus, your low back is fresh - allowing you to attack the iron like a madman. Once you've hit your rows, your lats and upper back muscles will be pumped. In a sense, your lats will be primed for stretching movements allowing you to isolate them better. Deadlifts, extensions and good mornings positioned at the end of the workout will do a few things. One, it'll allow you to do all of your lat work and upper back work without a tired lower back. In some cases, a tired lower back is crippling during a workout and can cut a training session short. Two, a lower back that is pumped and fatigued lowers your ability to perform rows and pulldowns with the highest level of efficacy possible. However, if you are a strength athlete (powerlifter, strongman, CrossFitter, football player, basketball players) or any athlete relying on power development doing low back first is an exception. If you're going for aesthetics and muscularity, low back work should go last. Hitting the traps is the wild-card. The traps are a small muscle group but typically require a lot of grip strength. Play around with trap work and see where they fit best for you in your workout. Somewhere between after your vertical pulls or after your low back work is a good place to start. Ever wish you had a pocket steak available just in case you feel the predatory need to dominate some beef like an alpha caveman? Then you want King Beef. Buy now. What follows is a 4 day split to attack your back. On, all four days, your back will be at work. I've sprinkled some presses both vertically and horizontally to balance the approach. The fourth day of training is a circuit style workout to hit the muscle groups that aren't getting as much attention during the first three training days. But remember, the goal with this is to bring your back up. Don't add anything to this. Training the back in this way takes focus and will require frightening intensity. I suggest you run this in three-week cycles. On the fourth week, back off, and let your body recover and compensate. Assess, your progress as you go along. A few three-week cycles will kickstart your back development. Then, you'll be able to transition into a more balanced approach. Notes: Tempo on pulldowns. you'll lower the weight stack down with a 3-second count before exposing into the concentric portion (the pull towards your body).